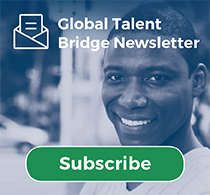 Career Pathways in Accounting is the latest release in the WES Global Talent Bridge Pathways e-guides series. This new e-guide outlines career and academic pathways in the field of accounting, with specifications of the field in the U.S., step-by-step pathways to top accounting careers, licensing and certification requirements, and an array of helpful state-specific resources. In addition, Career Pathways in Accounting offers comprehensive guidance in alternative and related career pathways for internationally trained accountants, with a focus on career options that optimize transferable skills. What are the Pathways e-guides? The Pathways series provides comprehensive resources for skilled immigrants to plan their professional futures. The e-guides provide sector-specific advice and resources on academic requirements, career options, and, when applicable, licensing and certification requirements. A one-stop source for strategies, support, and additional resources, the Pathways e-guides are helpful at every step of the journey toward professional success for skilled immigrants in the United States. How can the Pathways e-guides help accountants who want to work in the United States? Although there may be some similarities, such as specific education and work experience requirements, the process for securing licensure as an accountant in the U.S. is very different from the professional qualification process abroad. Moreover, In the U.S., licensure for accounting is regulated at the state level. Career Pathways in Accounting can help internationally trained accountants understand the steps involved in obtaining new credentials, and direct them to the appropriate licensing bodies and organizations along the way. The e-guide describes the roles and responsibilities of accountants, as well as common job titles in the field and what educational requirements and/or certifications are necessary to qualify for different positions. Because re-licensing can be time- and cost- prohibitive, the e-guides also give special attention to related and alternative careers. With these guides in hand, skilled immigrants can navigate their professional fields with confidence and support. Download the Career Pathways in the Field of Accounting e-guide.